Whether your hair replacement or enhancement journey has begun ,or you are an experienced wig wearer ,this guide should be a helpful overview of the essentials of caring for your lace wig. Treat your skin and hairline with the same loving care you give to your new wig .Protect your skin with scalp protector and always patch test new adhesives.When removing your wig ,always allow time for the solvent to work-never tug or pull to remove . PROTECT-To help deter tangling ,wrap or braid hair at night and keep it moisturized. We also recommended for you to tie hair at night with a silk scarf ,especially around the hairline . Applying and removing your wig may seem like a difficult task ,but it is easier than you might think .and many of our customers do it themselves .Re,e,ber ,it takes some practice,but the convenience of at-home applications often makes it more than worth-while. 1. To avoid having a bulky wig appearance ,prepare your own hair by braiding into small conrows ,warpping it or covering it with a wig cap . 2. Pin and Clip all hairs away form the perim-enter of the unit and carefully cut the extra lace . 3. Position unit on your head . 4. 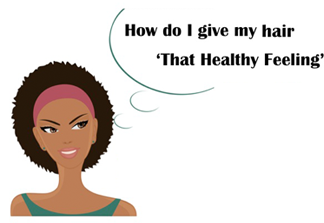 Apply alcohol to permeter of hairline with a cotton ball .Follow with scalp protector. 5. Apply adhesive just beyond your hairline as instructed by the adhsive manufacturer,Once the glue is ready press the lace down to your skin with the end of a tail comb . 6. Tie edges with a silk scarf until glue had full cured . 1. Saturate the perimeter of you unit with adhesive remover where the unit is glued . Tip : Wear a head band on your forehead to catch any liquid that may drip down . 2. Allow time for the adhesive remover to work .Re-saturates as needed .when it is ready , the lace should lift off your skin with the slightest tug. 3.Wipe glue from skin with adhesives remover . Tip: A microfiber cloth works best for this ! 4. Remover glue residue from the lace by spraying it with adhesive remover and wiping with a microfiber cloth .if there is still remaining glue .use " The Mirro Slide Technique". 5.Wash lace unit and store it on a mannequin to keep its shape. 1. Always wash your unit while on a styrofoam heda. This is essential for avoiding tangling. 2. Air dry your wig whenever possible. 3. Seal the knots after each wash.